The approach will help you transform the image of your library to be on-par with your region’s schools, colleges and universities and earn your institution optimal funding. 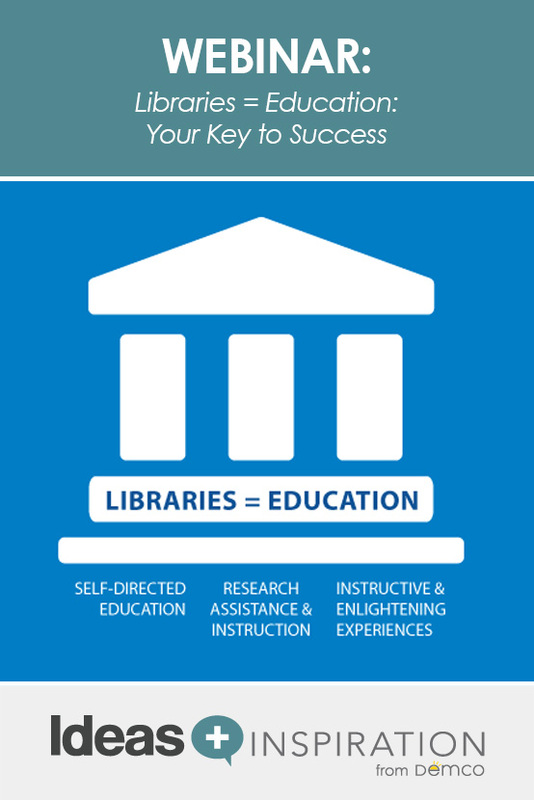 The Libraries = Education approach can be used for all types of libraries — and the best part? By making just a few easy modifications to how you present your library, you can enjoy huge returns. Redefine and rebrand your library in a new, innovative way using strategic vocabulary. Dispel misperceptions about libraries and increase respect for librarians. Heighten your library’s visibility and stature with community members and funding sources. Introduce this approach to key constituents and develop strategies you can integrate immediately into your work. Valerie has served as President & CEO of Howard County Library System (HCLS) since 2001. Developing a new vision for libraries, she has worked with the HCLS Board, staff, funders, elected officials and the community to implement “Libraries = Education.” She has delivered 100+ keynotes, workshops, seminars and webinars on the strategy, drawing the participation and input of thousands of library professionals from 46 states and more than a dozen countries around the world. Combining these experiences, she authored Transforming Our Image, Building Our Brand: The Education Advantage (ABC-CLIO, 2013). For living this game-changing vision, HCLS was recognized in 2013 as Library of the Year by Gale and Library Journal. 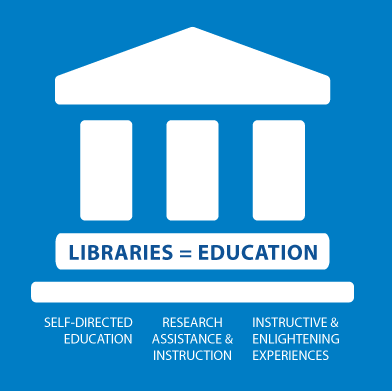 They hailed the “Libraries = Education” equation “a 21st-century model worthy of study and consideration by every library in America, if not the world” (Library Journal, 2013). The growing movement is ushering in a new era for libraries everywhere. I really wanted to watch this webinar but missed it because of the timing, which said 10:00pm AST (should be next day 5:00am my time zone). Actually, it was 10:00pm my time. Is there a recording that I can watch? I’m sorry you missed the live webinar, but luckily all our webinars are archived so you can watch them as your schedule allows. Simply click on the play button on the image above. Thanks for your interest! I think there’s something wrong with the video. I’m hitting play, but nothing is happening. Tried it on a different browser (chrome and ie) and same problem. I’m sorry to hear you’re having problems. We’ve checked on our end, and everything seems to be working fine. Trying deleting your cookies in your browser and give it another go. Hope this helps! That’s so wonderful to hear! Make sure you check out the Q&A Log from the presentation (download above). Valerie answers listeners’ questions and also lists further resources so you can keep your conversations going.